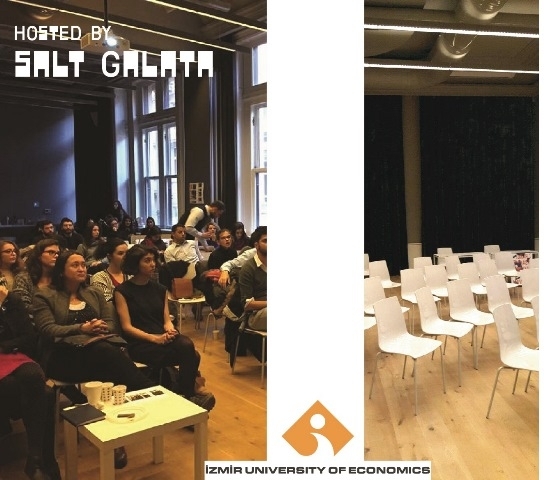 The fourth-year architectural design studio (ARCH 401) at Izmir University of Economics, is planning a forum to review and evaluate the educational outcomes of the three thematic studios organized during the Fall 2016 semester. The event will be a chance to interrogate the different conceptual approaches of each studio, all of which are an interpretation of the semester's major theme: "flow." Architectural Design Studio at Izmir University of Economics is a critical laboratory for speculation on architecture’s participation in the various dynamics that shape the world around us—technological, political, aesthetic, social, etc. This year’s set of explorations follow the theme of flow, a term indicating the condition or domain within which multiple systems/actors interact. Appropriately, the current state of the inquiry will be discussed and debated at an open forum hosted by SALT Galata. The semester theme, along with examples of student work will be presented and discussed with the intent of creating a platform not only for debating these works, but also for problematizing the importance of the fourth-year studio within architectural design education. The gathering is scheduled for Saturday, 17 December, between 10:00 and 18:00 at the SALT:Galata workshops.